Make a great first impression with creative business cards! There are lots of new ideas out there so you might want to take your time and research a bit before you order your next batch of cards. I’m sure you can find a style that stands out and represents you just right! The cards above are tags and cards…gotta love that!!! 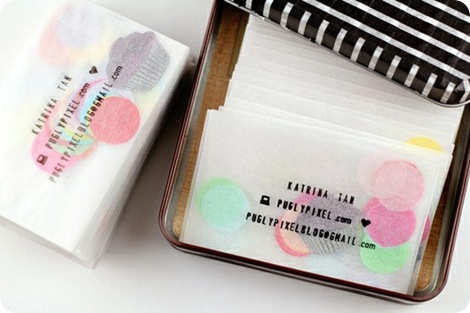 Make your own cards confetti calling cards with a simple tutorial from Pugly Pixel. That’s creative! I sooo love these cards!!! The yellow edge is stunning! 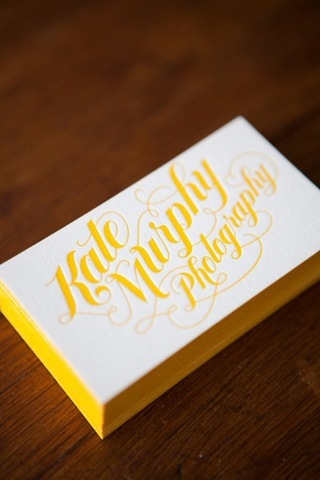 Sharing a photo of your work on your next business cards is a great way to show off what you can do. I have some cards with my lavender sachets on one side and my information on the other. 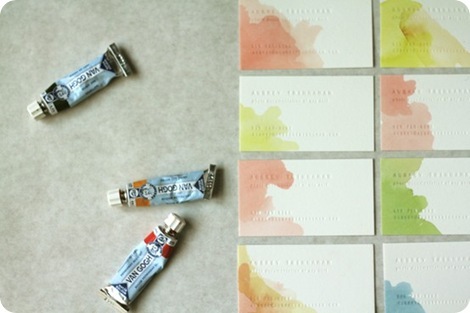 You can choose tons of designs for one set of cards at Moo.com. This is extremely original, don’t you think? 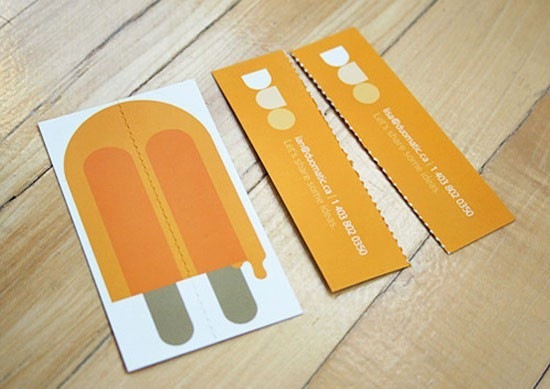 They can share your information with a friend by tearing it down the center of the popsicle…cute! Take simple cards and make them a work of art with a little paint and your imagination. 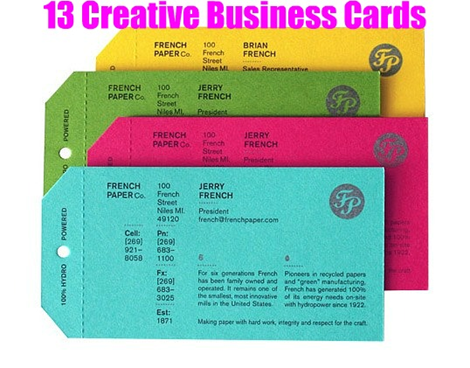 These are sure to make someone realize how creative you are, right? 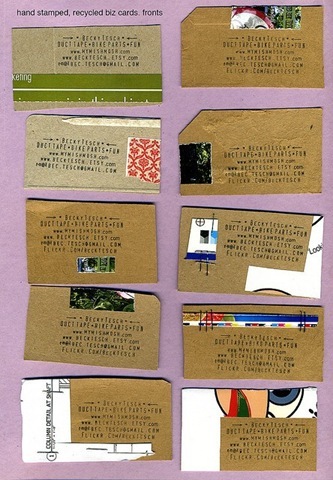 Create your own cards and stamp your information on them…this is a fabulous way to upcycle old greeting cards and boxes. 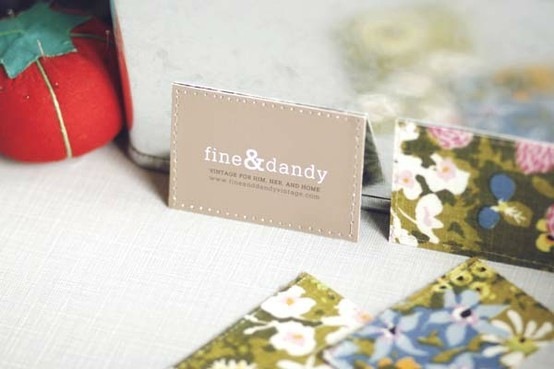 This one is for my fabric lovin’ friends…sew your favorite designer fabric to the back of your cards! Pretty!!! 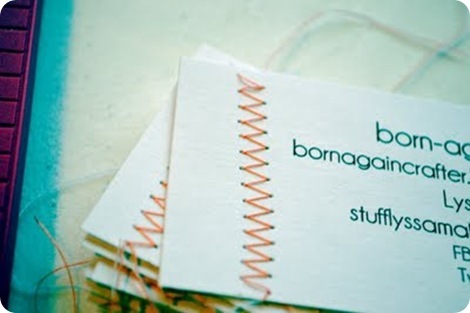 Follow a great tutorial on these handmade business cards from Lyssa on Born-again Crafter. 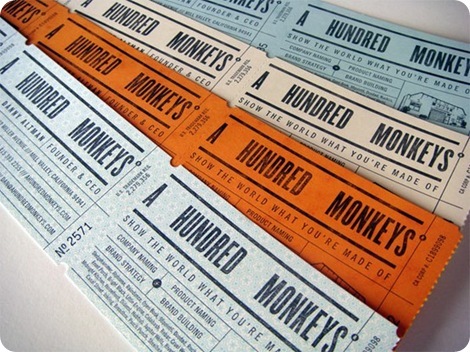 You might need the right kind of business for these, but cards designed like tickets are super creative! Check out Under Consideration for more photos. 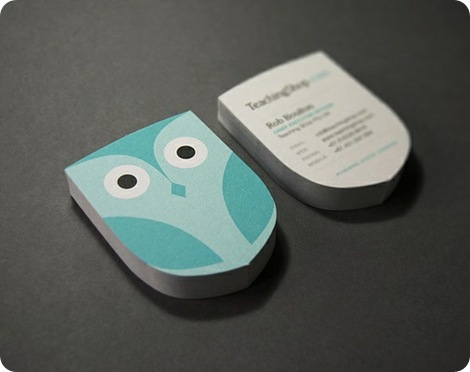 These owl cards are too sweet! Everyone at the next craft show will want one of your cards if they look this charming! 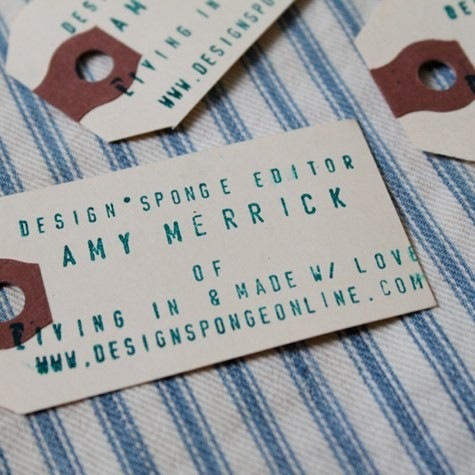 Amy from Design Sponge made these great tags and cards…what a nice look! Make your cards sticky! You can create beautiful cards that are stickers…cool idea! Stick them to your boxes and bags and add another one for them to keep. I hope you found some fun ideas for you next set of cards! You can find out more information about these and an adorable seed packet card on my Business Card Pinterest Board. Have you seen any fabulous business cards lately? I’d love to hear about them! I make my cards by sewing fabric on the backside with the various patterns I have used. I then zig zag stitch with gold thread to give the text side a little punch. Good way to use up scraps that are usually too small for many other projects. .-= megan´s last blog ..Monday Morning pep talk. =-. The confetti cards are so creative, love those. .-= Alyssabeths´s last blog ..Mena Vintage Cameo Pearls Rhinestones and Lace Locket Necklace . Elegant Vintage Style Jewelry by Alyssabeths =-. I use pictures of my custom beach writings on the jersey shore & find someone giving away free 4×6’s and have a ton printed out! 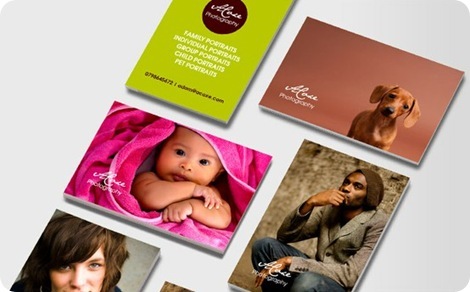 We currently use Moo.com and love the expressions on people’s faces when they get a business card with a sampling of our work as well as our information. 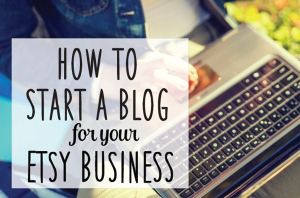 It is a really neat way to showcase your products as well as get information about your business out there. These other ideas look pretty neat as well so we may branch out. Thanks for the ideas!!! 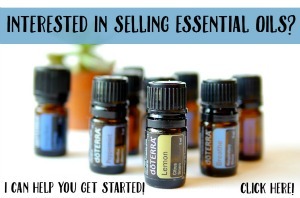 I just posted about mine, just so I could share it with you!!! Blessings! .-= Terri´s last blog ..My Business Card! =-. Kim you get style, i tell you! .-= barak´s last blog ..Dog loss quotes =-. Those popsicle ones are to die for! So many great ideas! Where would one go about getting those owl cards from? .-= Akacia Robinson´s last blog ..SUMMER SALE Assorted Baker's Twine // the Supply Owl Sampler // 200 Yards =-. 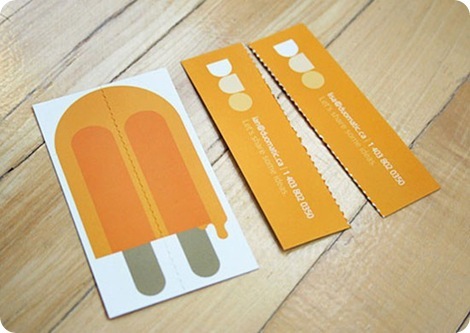 I love the popsicle cards too! Where would one go to find something like the yellow one? I really LOVE it! Thanks for this post. I’m trying to design new cards now and I’m really struggling with it. Next Post Contemporary Cloth Fabric Giveaway!! !